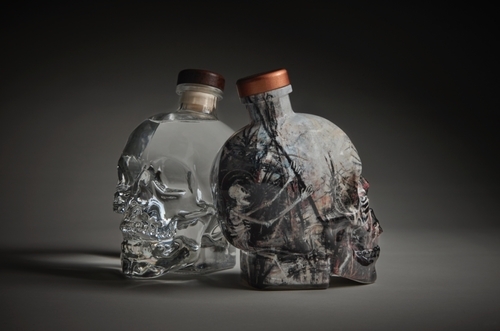 Canadian vodka Crystal Head have enlisted artist John Alexander to create a limited edition version of their iconic skull shaped bottle. The new bottle, which marks the vodka brands 10th anniversary, will initially be on sale only in selected North American airport duty-free stores at a RRP of $149.95. Both 70cl and 75cl sizes available but only 25,000 have been produced, each individually numbered. Every bottle has been hand decorated by only three craftsmen in a small workshop in Milan, Italy. Now available in over 70 countries, Crystal Head vodka is a 40% ABV (80 proof) neutral western style vodka which celebrates a corn base. For more information visit www.crystalheadvodka.com.